Oliver Twist is probably one of the most quoted classics of all time. Almost anyone whether they have seen a movie, read the book or not can easily quote Oliver’s famous line “Please, Sir, I want some more”. Published in 1838, the tale was originally told in a series of publications like many of Dickens works. The dark and somewhat depressing tale of a young orphan on the streets at that time in history is full of abuse, child labor and other generally nefarious activities, criminal acts and threats to Oliver and his innocence. Oliver is at heart and through and through a good child seeking love and contentment but the rough streets of London prove to be fatal to many like himself. Moving from poor house to workhouse and beyond, the reader is introduced to a cast of characters never to be forgotten. In my opinion Dickens biggest strength was in his ability to describe detail especially in relation to his characters. They jump off the page in the flesh due to his talent with words and character traits of the smallest degree. Dickens prose is as always abundantly detailed as he describes every situation, setting and individual in a way only he can do. His sense of humor and talent truly shine most when he is describing a character. Many of the names of the characters in the book also relate to them as individuals as well such as Oliver’s name of “Twist” given to him by chance upon his birth and the quick death of his “anonymous” mother. The name of “Twist” refers back to all the twists and turns that Oliver’s story will take. 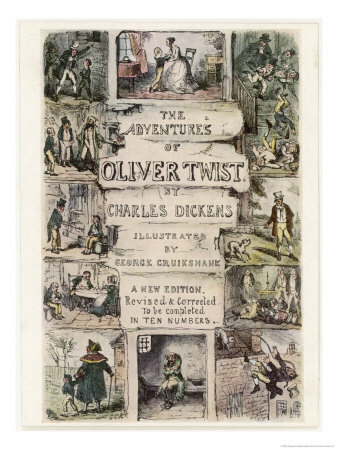 In the end as Dicken’s works go, Oliver Twist is one of the darker stories he has told. However it truly highlights the dangerous situation children faced during that time in history especially those without a parent to provide for and protect them. Written in 1814, Austen’s classic Mansfield Park is the story of a young girl taken in by wealthy relatives due to her family’s poverty. Fanny, one of nine children is sent to live with her Aunt and Uncle. While not the traditional orphan scenario, Fanny Price under goes much of the treatment of an orphan within the home of Sir Thomas and Lady Bertram. Although Fanny grows up within the same household as her four cousins, she is never treated equally. However her cousin Edmund is her champion who always stands up for her and her place in the family. This eventually leads to Fanny falling in love with him and the ensuing love story written by Austen. Unlike Oliver Twist, Austen’s portrayal of Fanny remains mainly in her adulthood between the years of 18 and 19. Fanny is portrayed as shy and deeply sensitive. These qualities are easily manipulated in the home of the Bertrams by both the adults in the family and the children. The tale of Fanny and the question of where life will take her is an interesting portrayal that well illustrates the practice of “wardship” during that period of time. 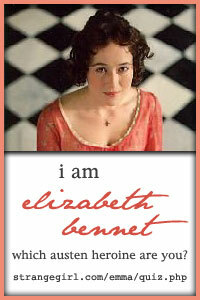 Austen’s trademark sarcastic wit is abundant as are her mix-ups in love, courting and marriage. The book is well love by many with most only complaining of Fanny Price being too “good”. Oddly enough no one has ever made that complaint about Oliver Twist. I am supposing that would be due to the fact that one is a child while another somewhat of an adult. However who wins out in the end? In the end for myself personally I would have to say that Mansfield Park wins in this match up. In fact it was a beat down. Whether it is because I am a huge Austen fan or due to the relatively sinister nature of the novel Oliver Twist– there is no doubt which I would pick up again. In the end both books are definite true classics to be enjoyed. However a nice meeting place between these two novels would be Jane Eyre by Charlotte Bronte which deals with an orphan in both situations and as both a child and an adult. 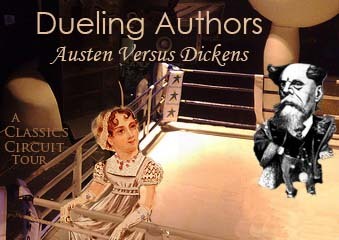 Be sure to check out the other participants in the Austen vs. Dickens tour. What do you think? Which would win in your mind? I’m glad I read Oliver Twist and it’s really telling what it was like for an orphan at that time, but it’s not a book I would ever read again. The characters weren’t well rounded (too me) and I agree with the sinister nature. But for Austen, I have no problem reading her novels over and over again. I seem to find something new every single time. So true Anastasia…which is one of the reasons I think readers today get frustrated with Fanny Price. Even when faced with true unfairness and treachery, she still remains the same sweet, giving person. Although in hindsight she is somewhat of an “orphan”, what choice does she have? I agree that Jane Eyre is the ultimate orphan’s tale. Nice observation. I love Austen as a rule, but I have to say Mansfield Park is NOT one of my favorite books. I haven’t read Oliver Twist, but based on what I know of the book, I think I will like it much better than MP. It’s funny…I know a lot of people who feel that way about MP b/c they don’t care for Fanny. My big Austen pet peeve is Emma. I just can’t get in to that one…Emma is just too much for me. Mansfield Park is my least favourite Austen. Somehow the characters didn’t gel for me. And the horrible characters never seemed to get their “just desserts”, which probably means that I found the story less satisfying. I should also re-read Jane Eyre. I know so many people who love it, but I never really liked it. So many books to read!! !